Make K and G Automotive your stop whenever you need affordable Volkswagen repairs in Brisbane. Get your Volkswagen in the most capable hands for top performance needs. 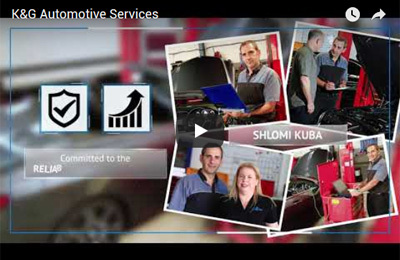 Nobody is more competent to care for your classy car than the K and G Automotive Volkswagen mechanics around Springwood and other close by suburbs. Aside from giving our clients the utmost service, our outstanding team is fully armed with comprehensive training, technical support, and specialized tooling abilities. Moreover, we regularly update the already modern diagnostic equipment to yield accurate results. Through using Volkswagen genuine or OEM parts, K and G Automotive can guarantee clients that their treasured vehicle is in the best hands possible. As a Volkswagen client in Brisbane, we assure you that wherever you travel within Brisbane, you will be granted K and G Automotive assistance over the phone. You don’t have to drain energy finding the perfect mechanic or car servicing provider in an emergency. K and G Automotive is a wise choice when you want affordable Volkswagen servicing and incomparable quality. Our Volkswagen mechanics around Slacks Creek and throughout Brisbane provide safety certifications which are designed to offer buyers enhanced protection. A vehicle with a safety certificate has undergone a thorough examination before being offered for sale. Clients can rest assured their Volkswagen is safe to drive. We believe that customer satisfaction should be first and that includes the safety and servicing of your Volkswagen. We promise our clients will receive nothing but top-notch amenities and services. Entrusting your vehicles to K and G Automotive will not only save you from high cost mechanic services, but most importantly, it can save you from accidents caused by improperly fixed vehicles. Call us today for a preventative maintenance check up on your Volkswagen Mechanic Brisbane Services.